This package includes 8 hours of driving lessons, 30 hours of driver’s education in a classroom setting, the DDS Road Test Package, and a Defensive Driver course. The driving lessons portion will also include free transportation. Training primarily focus on the basic skills needed to safely navigate residential, highway and interstate roadways. Students will also practice different parking methods such as parallel, three-point turns, and straight line backing. 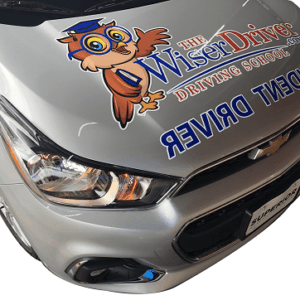 The Wiser Driver 8-Hour-Joshua’s Law- Package includes 4 two hour lessons and 30 hours of classroom driver education classes. This package also includes free transportation (driving lessons only), a Defensive Driver Course and a FREE DDS Road Test Package. At the completion of training, students will receive two DDS certificates. One certificate will be presented for the successful completion of the 30-hour course while the other certificate will be given after completion of 6 hours behind the wheel. DDS administers the road test for students that select this package. 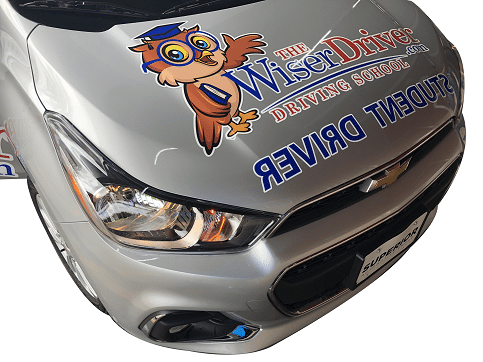 The Wiser Driver has a 93% pass rate for its road test exams. Driver training primarily focuses on the basic skills needed to safely navigate residential, highway and interstate roadways. Students will also practice different maneuver methods such as parallel, three-point turns, and straight line backing. Additional time maybe used for night interstate or realistic training opportunities. Actual driver training is tailored to the individual needs and skill of the student driver. The average student requires 6-10 hours of training to garner the skills to safely operate a vehicle and pass a DDS road skills test.